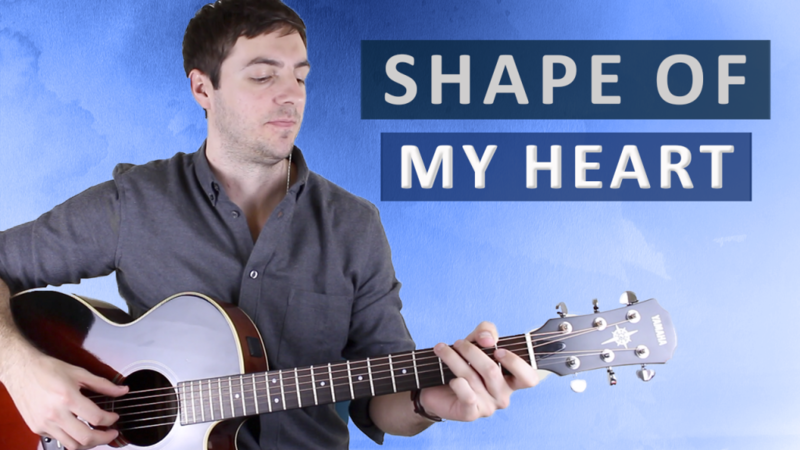 Scroll down for full video lesson (with tab) of Shape of My Heart. Shape of My Heart was written by Sting and his longterm guitarist Dominic Miller in 1993. It appears on his album Ten Summoner's Tales and was featured in the hit film Léon, released in 1994. The song was created by Miller writing the stunning guitar riff and Sting then adding the lyrics later on. Shape of My Heart is reasonably difficult to play, with the trickiest part to master being the chords. Miller has used quite big grips and you have to stretch your hand a fair amount to reach the notes. So expect a little bit of arm ache if you're not used to this. Shape of My Heart is no. 22 on my Top 60 Fingerpicking Songs of ALL TIME list. If you've not seen the list be sure to check it out and sign up to my weekly email lesson so you don't miss learning any of these great fingerstyle songs. There's really just two parts to Shape of My Heart, there's a verse which is the same as the chorus and an instrumental that's the same as the verse and chorus but in a different key. Although it has just two parts to it, the song uses rich and sophisticated chords so it never sounds repetitive in any way. As I mentioned earlier, some of the chords are going to be a bit of struggle, so really take your time getting to know them and work hard on getting smooth and buzz-free changes. It's one thing strumming these chords but arpeggiating them (picking the notes of the chord individually) makes it much harder. 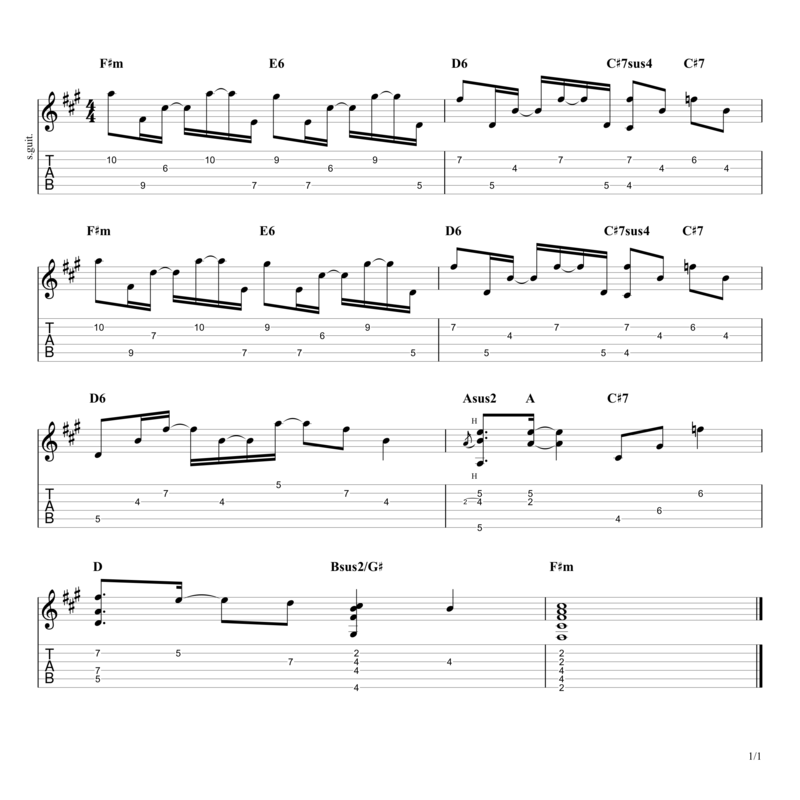 Another area you might have some difficulty with is the rhythm of the arpeggiated chords. It's probably easiest to just listen to the song over and over, but if you can't read rhythm notation at all and don't know how to count properly I strongly recommend investing the time in learning how to do so. 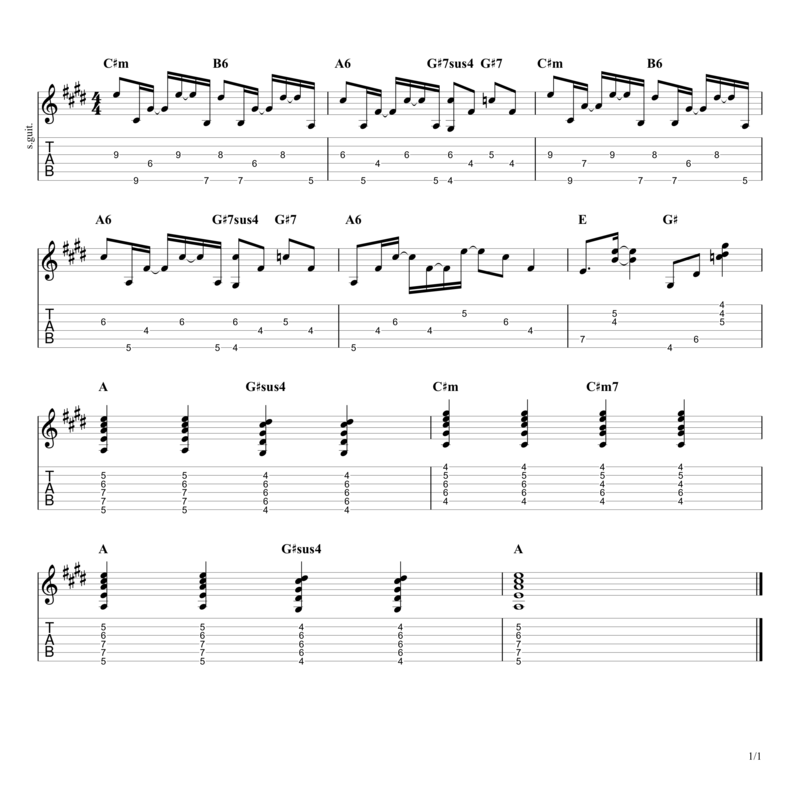 For the instrumental the key changes from F# minor to C# minor. These two keys are next to each other in the circle of fifths, so they go together well and are often used to modulate between. The relative major of these two keys are A major for F# minor and E major for C# minor, it's very common to have key changes between E and A major so this is the same just with their minor cousins. Thanks for a brilliant lesson. That is a sublime rendition. Really glad you like it. It’s a Yamaha CPX 500vs. 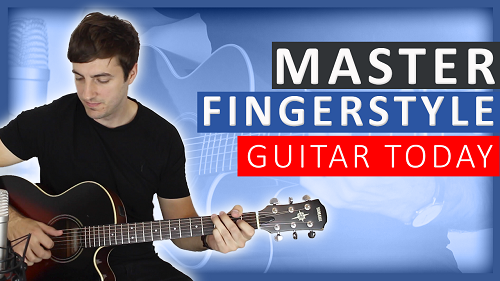 It was from this lesson on youtube how I came to find your site… shame I’ve already learnt the majority of your 60 tracks as your lessons are great especially with the provided tabs, will definatly recomend you to any of my friends wanting to develop thier finger picking skills. Thanks Farris, welcome along to the site, really pleased you like the lessons. I’ll be adding new ones indefinitely. Ah, love this song. Very nice lesson as well. What model Yamaha are you playing? It’s a great song. It’s a Yamaha CPX 500.